"I wanted to take this time to thank Forward Slash Technology for the hard work and dedication to our Police Department?? ?s computer network...."
A network security audit will help you verify and achieve optimum performance from your network. A network security audit is an important step in preventing problems and catching issues before they become major concerns. At Forward Slash Technology, we offer a free network security audit to any new customers and businesses located throughout the St. Louis area or around the country. These network security audits give us a chance to become more familiar with your company and your needs as well as discover what may be causing problems in your computer systems. If you have been experiencing problems with your computer network or would like to discover issues before they become major problems, please contact us at (314) 403-1230 to request your free network security audit. If you are interested in learning how a network security audit can help your company, you can learn more about our network security auditing services here on our website or by contacting our IT company. 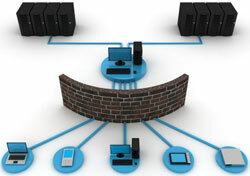 A network security audit not only allows our IT experts and professionals to help determine what issues may be causing current problems with your computer systems and network, but also gives us a chance to discover any potential problems that may be lurking, locate improperly secured network resources, and determine hardware that may be in a degraded state with permanent failure eminent. Because of this and the many other benefits that result from network security audits, we recommend that businesses and companies regularly utilize our network security audit services. Ensure optimal long-tem performance of a network: A network security audit should be performed as part of routine maintenance for any network. This can prevent major problems from developing and avoid network outages that often result from network configurations. Obtain benchmark measurements for hardware and software performance: A network audit will help verify that all of your hardware and software versions are up to date. This can help prevent the risk of permanent failure due to outdated or degraded equipment. Verify that an existing network meets your changing performance standards: Because your company is ever changing, your network needs can change as your company grows or develops new procedures. A network security audit from our IT professionals will ensure that your network is properly aligned with your company needs. Develop a detailed report and recommendations for improving network health: A network security audit can help identify problem areas and develop a plan for improving your network. Additionally, if you are planning an expansion project to upgrade your company network, a network security audit can help you to understand the current health and condition of your network. A network security audit is also recommended before introducing new equipment or services to a network to ensure compatibility and a smooth transition. Ensure compliance with regulatory, organizational, and security policies: A network security audit will verify that network security policies have been implemented effectively by locating breaches in defenses or other problem areas. 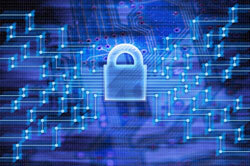 This can ensure that your company network is in compliance with any applicable regulations or security policies. To learn more about how your company can benefit from a network security audit or to schedule an audit for your business, please contact our local IT company today.